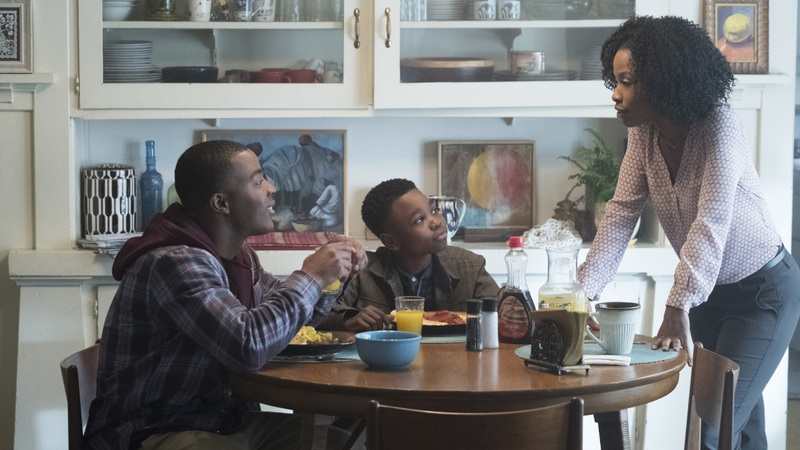 New TV Shows: Homecoming, Sabrina, And Others To Watch This Fall Broadcast, cable and streaming networks have a lot on tap for the remainder of 2018. 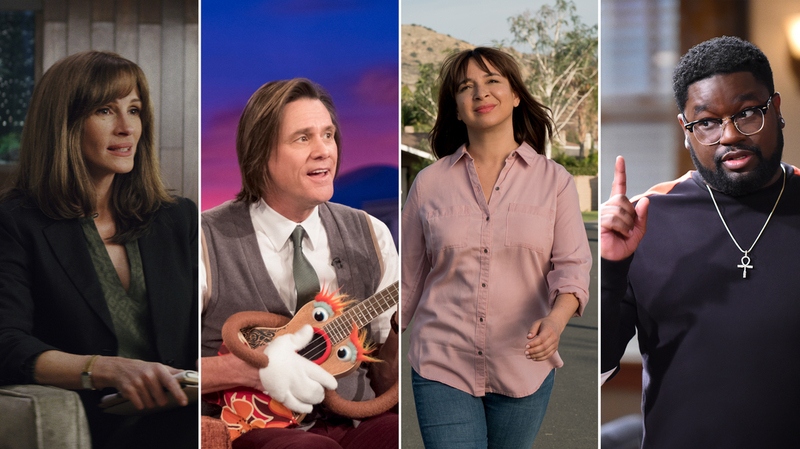 Our television and pop culture team has assembled a list of the most promising shows coming your way. (From left) Julia Roberts in Homecoming; Jim Carrey in Kidding; Maya Rudolph in Forever; and Lil Rel Howery in Rel. Television is more year-round than it used to be, but fall is still a time when broadcast, cable and streaming services drop a lot of premieres. How to keep track of it all? 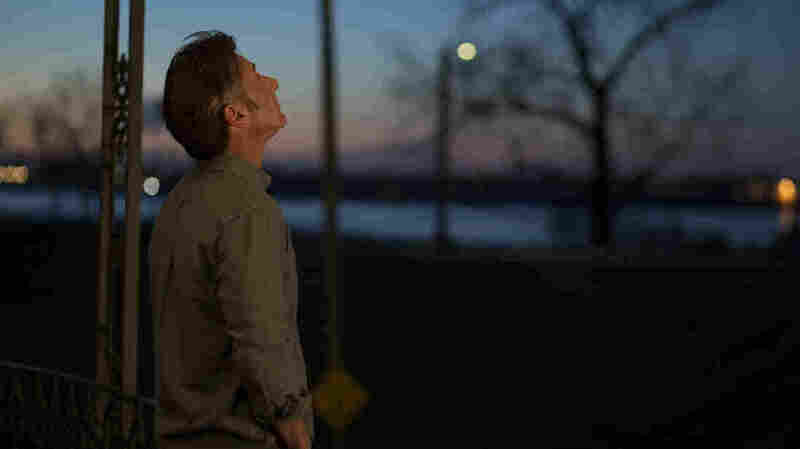 NPR's television and pop culture team has assembled a handy list of shows to keep an eye on. Some of these aren't available for us to watch yet — but we've included shows that look promising. 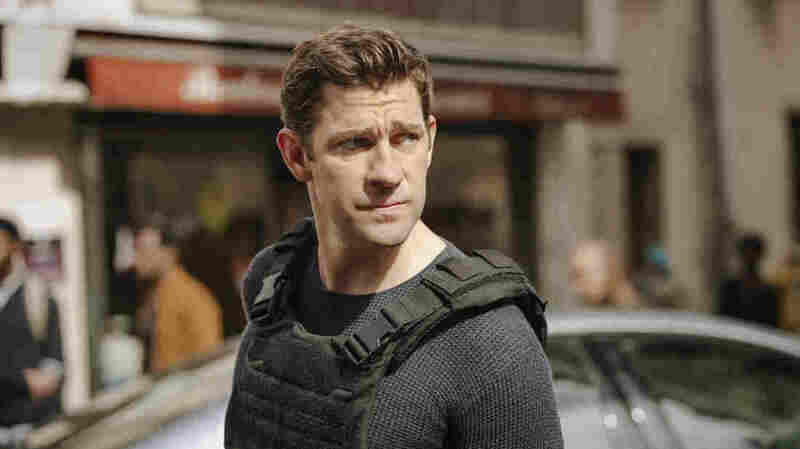 John Krasinski returns to television in the new Amazon series Jack Ryan. TV producers often claim their shows are like movies stretched over episodes, and this one lives up to that hype. John Krasinski (NBC's The Office) shines as idealistic intelligence analyst Jack Ryan — an action hero in the making much younger than Harrison Ford's film version. Wendell Pierce also impresses as James Greer. In films, he is Ryan's paternalistic buddy, but Pierce's Greer is a prickly superior who can barely stand his subordinate's impractical morals. Together, Greer and Ryan are an appealing odd couple teamed up to track a terrorist. The effects are spectacular, while the villain is humanized and complex. It's a perfectly modernized thriller for the streaming age. What if they made a TV drama about Mister Rogers having a nervous breakdown and he was played by an actor who often seems to be living in his own public meltdown? That's the intriguing backstory powering Jim Carrey's first lead TV series role in decades. He plays Jeff Pickles, a beloved kids TV host coping with an unbearable personal tragedy. Surrounded by friends and family lost in their own trauma, Carrey's Mr. Pickles is an icon whose dark personal journey is at odds with the happy-go-lucky public persona he has maintained for decades. Sound familiar? Lil Rel Howery was a regular on Jerrod Carmichael's The Carmichael Show, a critically adored multicamera comedy that also featured Tiffany Haddish just before her rise to superstardom. Now, Carmichael is a producer for a comedy that spotlights Howery as a man whose divorce costs him the perfectly good barber his ex-wife was sleeping with and drives him to start over. Sinbad stars as Howery's dad. This team has sharp and interesting ideas about how to make sitcoms work; it's worth watching out for them. The trailer for this comedy series starring Maya Rudolph and Fred Armisen is less than forthcoming — it's basically a lovely series of shots of a married couple who seem happy, though stuck in a rut. Those shots of a knife and a bonfire and Rudolph looking — depressed? drugged? drunk? all of the above? — intimate a dark undercurrent, because it's a comedy on a streaming service and that's the law. But what has got me excited about this is the roster of names attached — Rudolph and Armisen of course, but also Catherine Keener Who Is Great In Everything™, and writer/producers Alan Yang (Master of None) and Matt Hubbard (30 Rock). In The First, Sean Penn leads an ensemble cast in this near-future drama about a crew of astronauts attempting to become the first humans on Mars. Sean Penn puts his surly, muscular presence to good use playing Tom Hagerty, taciturn commander of the first manned mission to Mars. It's a super-slow journey, courtesy of Beau Willimon, who also created Netflix's House of Cards. Hagerty is a weathered soul balancing an addict daughter, an uber-repressed boss and a tremendous tragedy, while attempting a second launch when the first one goes off the rails. This 10-episode limited series directed by Cary Joji Fukunaga is giving off strong Eternal Sunshine of the Spotless Mind vibes, but that is by no means a complaint. Based on a Norwegian television series, Maniac stars Emma Stone and Jonah Hill as subjects of a mysterious three-day pharmaceutical trial, led by Justin Theroux's magnificently coiffed researcher. Billed as a dark comedy, the series promises trippy visuals, questions about the nature of identity, and just really a lot — a LOT — of very bad wigs. 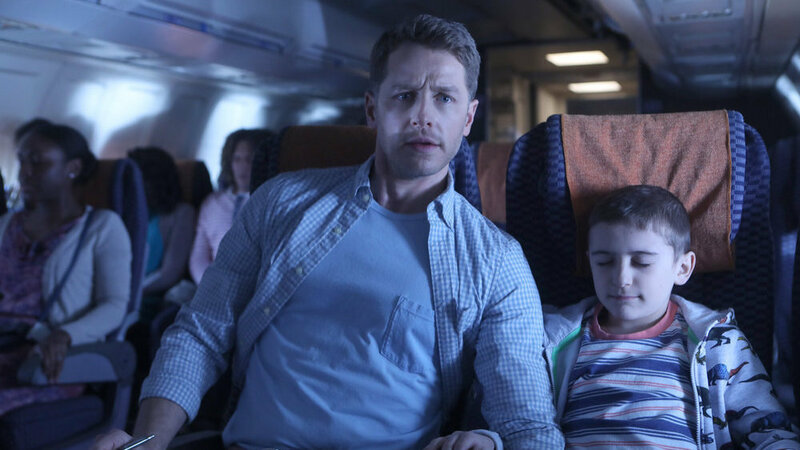 In Manifest, Ben Stone (Josh Dallas) and Cal Stone (Jack Messina) take a mysterious flight and disappear for five years. Let's be honest: When a show starts out with a big mystery, it's hard to make bets on how things will turn out. It could be really satisfying! Or ... not. Manifest starts when a plane lands and the passengers learn that five years passed while they were on board — and presumed dead. It's the kind of high concept that often winds up canceled so fast that it writes its own jokes about whether it really happened at all. But! When they work, weird mysteries are a lot of fun. Be an optimist! Blame sentimental network TV hits like This Is Us and The Good Doctor for this drama. A Million Little Things is a Big Chill-style look at a group of friends struggling to cope when their most successful pal, played by Ron Livingston, kills himself. The pilot is more than a little sentimental, with twists you'll see coming miles away. But the cast is strong, making this one of the network TV shows most likely to transcend its first episode. Candice Bergen won five Emmys for her role in Murphy Brown. After 20 years, the series returns to CBS this fall. Yes, it's another classic sitcom revival. But this premise is delicious: Candice Bergen returns as the groundbreaking title character, who is now an anchor on a cable news channel. Her son works for a rival, Fox News-style conservative outlet. Written by the show's creator, Diane English, this revival promises to unleash the women who faced down Dan Quayle's out-of-touch, 1990s-era moralizing on a new target: the chaos created by our current reality TV star-turned-president. Popcorn, please. Sarayu Blue, who had a funny turn in Blockers earlier this year as the level-headed wife of a husband who was losing it, gets her own spotlight in this comedy about a working mother who, well, feels bad all the time about the obligations she is trying to balance. Amy Poehler's production company helped bring it to the screen, and creator Aseem Batra has solid comedy credits as a writer going back to Scrubs. Alyssa Edwards may or may not be your favorite queen in the storied herstory of RuPaul's Drag Race. But you can't deny she's an All-Star, a vivid and vital presence, a tongue-popping force of (something approaching) nature. This Netflix series follows her life as the head of a dance company in Mesquite, Texas, features cameo appearances from some of her fellow Drag Race queens, and promises – or threatens, depending on your personal point of view – "All Tears, All Shade." It has been almost a decade since their beloved HBO series ended, and Jemaine Clement and Bret McKenzie have kept busy. In this special, filmed as part of their 2018 U.K./Ireland tour – during which McKenzie injured his hand, causing several dates to be rescheduled – the deadpan duo from New Zealand will feature their greatest hits, if the title of the tour ("Flight of the Conchords Sing Flight of the Conchords" tour) is any indication. Based on the true story of the NFL's Spencer Paysinger, this drama follows a high school football player from Compton who is brought to play football at Beverly Hills High — which turns out to mean moving in with his coach. Not every high school football show can be Friday Night Lights, but even an effort at a thoughtful drama about teenagers without superpowers can only be welcome. Veteran of many canceled series Taye Diggs plays the coach. Matthew Weiner follows up Mad Men with this eight-episode anthology series about people who believe themselves to be modern-day descendants of Russia's Romanov family. Each episode will feature a different location, a different story and a different cast – though Weiner favorites John Slattery and Christina Hendricks will turn up, alongside actors like Diane Lane, Amanda Peet, Corey Stoll, Aaron Eckhart, Andrew Rannells and more. Weiner says the show is about how "we're all questioning who we are and who we say we are." In Salt Fat Acid Heat, chef and writer Samin Nosrat demystifies the building blocks of cooking. Netflix continues its full-court press of cooking television, which has included both the highbrow beauty-of-food stuff and the lowbrow food-competition stuff. 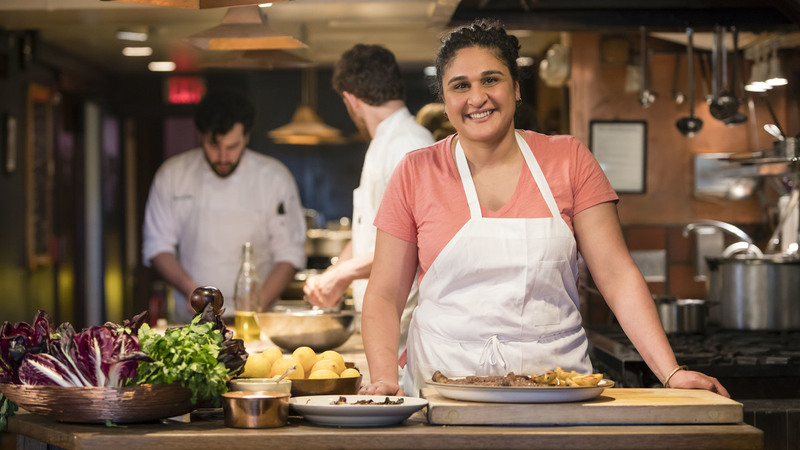 Salt Fat Acid Heat adapts Samin Nosrat's well-received book about the building blocks of flavor into a docuseries hosted by Nosrat herself. She travels, she talks to people, she learns. This might be the kind of carefully produced hybrid of food and travel television that will hit a real high note for a big chunk of viewers. The CW gave us Riverdale, the dark, twisty "Hot Archie" take on the world of the bright, sunlit comics. But there's dark and then there's DARK, and while Riverdale goes to some intensely soapy places, that show's creators seem to be pushing the truly trippy and horrific stuff onto this Netflix series, which is set just across the river, in the town of Greendale. Don't expect Melissa Joan Hart or a cat puppet to show up – at least not right away. The first 10-episode season deals with Sabrina's (Mad Men's Kiernan Shipka) struggling to accept her destiny as a half-human, half-teenage-witch. It has already been picked up for a second season, so Netflix, at least, believes in magic. Selecting this as a show worth watching, long before critics actually get a look at it, is a gamble. Netflix has struggled recently with talk and variety shows, deep-sixing efforts by Chelsea Handler, Joel McHale and Michelle Wolf without much fanfare. Still, Minhaj's one-man show Homecoming King is an amazing story of immigration and identity that won a Peabody Award. If anybody can create a talk show on Netflix that survives longer than a season or two, he's the one. They've kept a pretty tight lid on this adaptation of the Gimlet podcast about a caseworker handling traumatized soldiers being held at some sort of compound, although there are two big reasons it's getting attention. The first is Julia Roberts, appearing in the leading role. The second is director and producer Sam Esmail, whose last effort, Mr. Robot, showed a flair for weirdness that might be just right for this highly unusual story that's all about strange secrets. 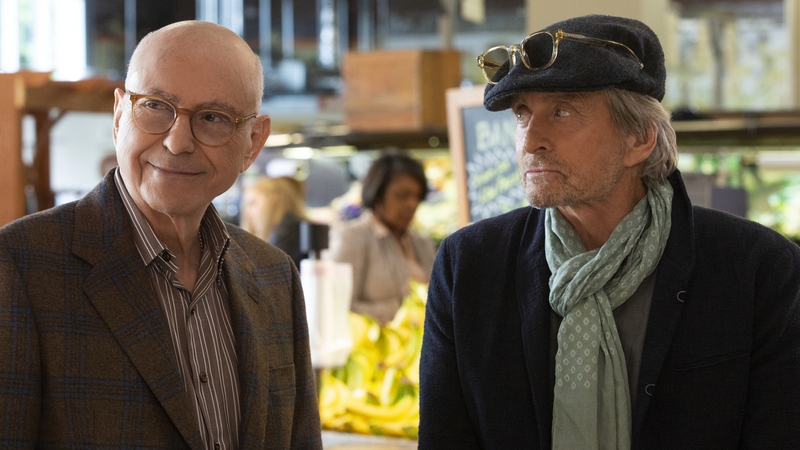 Hollywood agent Norman Newlander (Alan Arkin) and acting coach Sandy Kominksy (Michael Douglas) are longtime friends dealing with growing older. Producer Chuck Lorre is known for broad, cheeky multicamera comedies like Two and a Half Men and The Big Bang Theory. He is the last guy you would expect to create an authentic, personal and — yes, often smart-alecky — comedic drama about the bittersweet process of getting old. Lorre casts Michael Douglas as revered acting coach Sandy Kominsky, a 70-something guy struggling to date while helping his oldest friend, played with a curmudgeonly grace by Alan Arkin, handle the biggest loss of his life. It's almost beyond cliché: stylish actors seeking serious cred by playing homely working stiffs. But this limited series about a real story transcends that trope. Benicio Del Toro and Paul Dano star as inmates who escaped from Dannemora's lockup in 2015. Patricia Arquette is the married prison worker who helped them. Directed by Ben Stiller, it explores how desperate, depressed people in an unforgiving environment can make the worst decisions. And that's just the people who work at the prison. Jessica Reedy produced this story for the Web. A previous photo caption originally stated that Murphy Brown ended 10 years ago. In fact, Murphy Brown ended 20 years ago, in 1998.